Wondering what to do in Lyon? Here we’ve put together 5 unique places to visit. Founded over 2,000 years ago and having built its fortune on the silk trade means that this city has an abundance of stunning renaissance architecture in its Old Town (Vieux Lyon), which is why the whole city is a World Heritage Site. A place where tucked-away passageways (Traboules) line the quaint courtyards and head to the River Saône. You’ll also discover its Roman history with ruins, architecture and an amphitheatre that still holds shows today. Known for its cuisine too, Lyon is a cultural treat and here we’ve listed 5 unique places you should go to when considering what to see in Lyon. One of the first things you will see, in fact you will see it a lot while in Lyon as it sits proudly at the top of a hill, is the Fourvière Basilica. A magnificent church, resplendent in white and one of several churches in the region to be on hill tops. Built in the oldest part of the city, and to the west, this church was the city’s pilgrimage destination and is surrounded by a good number of Roman buildings that have been discovered down the years. If you are in Lyon in December be sure to catch the Fête des Lumières which celebrates Fourviere’s Saint, the Virgin Mary, and the celebration is famous all over France. Definitely one of the tourist sites in Lyon to see. Inside you can climb the north tower and get the best photos of the city possible with views all over the rooftops. A fascinating and enchanting city and one of many peoples’ favourite places of interest in Lyon. Ok, it’s not one place but when in Lyon you must try one of the many good quality, and reasonably priced, eateries in the city that boasts more restaurants per capita than any other city in France. There are many places you should know about in Lyon for good, local and traditional cuisine and what makes Lyon different from many other French cities is the food that is prepared is often meals that used to be eaten by workers in the city’s past. They are often rich and very filling (you may not like all the body parts they cook though!) but dining out in Lyon really is one of the most interesting things to do in the city. But don’t worry if you don’t like ‘traditional’ food as you can always find such popular French favourites as Lyonnaise potatoes. If you’ve never had them they are a must! Potatoes are sliced and fried in a pan with onions and parsley – what to do in Lyon? – Eat! When considering what to see in Lyon, its Old Town should be high on anyone’s list. The city’s history of the silk trade meant that just over 400 years ago there were more than 180,000 looms in the city. It was the life blood industry and there are many reminders in Vieux Lyon, especially in its distinctive and unique traboules (passageways and tunnels). One of the top tourist attractions in Lyon, the traboules make up one of the biggest renaissance old town’s in the whole of Europe. During the middle ages merchants, rich from the silk trade, came to live in the area and built wonderful homes and many of these can still be seen in the Saint-Jean, Saint-Georges and Saint-Paules districts. If you don’t know what to visit in Lyon, head to the Old Town and you won’t be disappointed. We have mentioned them before, but one of the top places you should know about in Lyon is the traboules. They were originally constructed to allow the city’s silk workers access to the river, meaning the transportation of the silks was made easier and with the covered design of the passageways it meant the silks stayed dry in bad weather. Now one of the most popular tourist sites in Lyon, the traboules are mainly part of residential properties but still open. These renaissance walkways run under buildings towards the river and there are plenty to explore, over 40 are open to the public. Maps are available and you will see what to visit in Lyon and can have an adventure along the way! Another of the favourite places of interest in Lyon is this wonderful, and massive, park. Which, incidently is ideal for families with kids that are either big or small! Head on over to the African Plain, where you can find lions, zebras, giraffes and more amazing creatures. There is also a large lake with pedalos for those with plenty of energy. Take a wander around the botanical gardens, boasting over 2,000 different varieties of plants, and the stunning, and huge, 19th century greenhouses that dominate the park. Famous all over France, the Parc de la Tête d’Or is the country’s main botanical centre and another of the top tourist sites in Lyon. 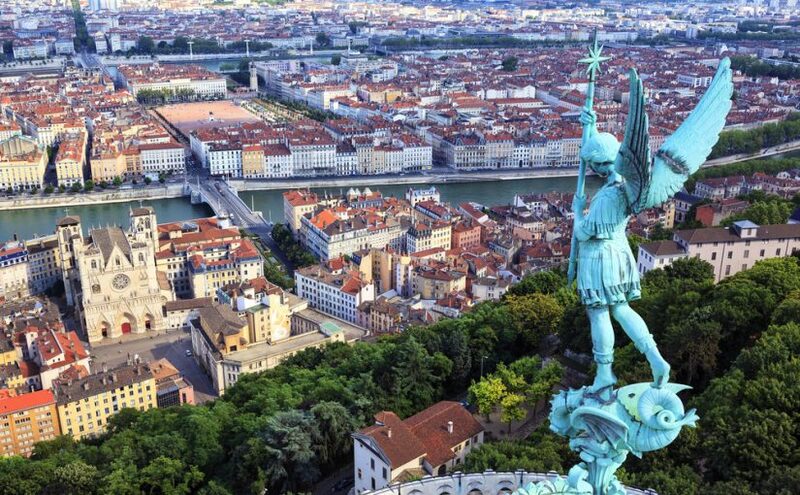 There really is so many places of interest in Lyon that it would be a very long article if I was to try and attempt to list them all. However, one thing is for sure, if you like culture, history, gastronomy and a little adventure then Lyon has an abundance of them all. There are tourist attractions in Lyon for everyone, take the magnificent amphitheatre – a well preserved example of Roman life. Lyon’s many museums; including the fascinating and futuristic Roman museum. For those wanting to see what the city’s life is like, the Presqu’île is the place to head with its modern and traditional shops and bars. And don’t forget Lyon’s famous murals, over 100 of which line the city’s streets depicting life in the city. Do you wonder what to do in Lyon? Here we show you 5 uniques places to visit, don´t miss this french city, it will surprises you!